Hong Kong Airlines, the internationally-acclaimed full-service airline, brought together students from the Asbury Methodist Primary School and Tin Shui Wai Methodist Primary School yesterday on board a real aircraft and touring around the airport facilities. 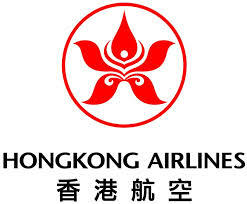 Nurturing younger generation with aviation knowledge has been a key CSR initiative of Hong Kong Airlines. Dedicated to spark the youngsters’ interest in aviation, the “Triumph Sky High” Junior Program gave participating students chances to take a closer look and experience for themselves different aspects of the aviation operation, under the guidance of Hong Kong Airlines’ crew members. Since its launch in 2014, Hong Kong Airlines “Triumph Sky High” Junior Program has come to its 14th, and offered more than 400 local primary and secondary students from different backgrounds the opportunity to learn about the aviation operation through aircraft visit and gave them exposure to the daily works of cabin crew members. The aviation experience tour commenced with a visit to Hong Kong Airlines’ catering service centre and check-in counters at the Hong Kong International Airport. Students then traveled on the Automated People Mover and went onboard a Hong Kong Airlines aircraft in the Midfield Concourse. Pilots and cabin crew of Hong Kong Airlines shared their aviation knowledge and flight experiences with the children of whom also learned the structure of cockpit and cabin, experienced Business Class facilities, tried on life jackets and even performed the tasks of making inflight announcement and serving meals to passengers.